DUBAI, United Arab Emirates — The United Arab Emirates says it will end its military training mission to Somalia after an incident that saw its soldiers assaulted and $9.6 million seized at an airport in Mogadishu. The announcement by the UAE's Foreign Ministry marks the latest decision by a Gulf nation that affects East Africa, home to a growing web of Arab military and commercial interests. The UAE has trained thousands of Somali soldiers in the mission it began in 2014, which both helped the conflict-ravaged nation rebuild after decades of chaos and give Emirati soldiers more experience abroad. 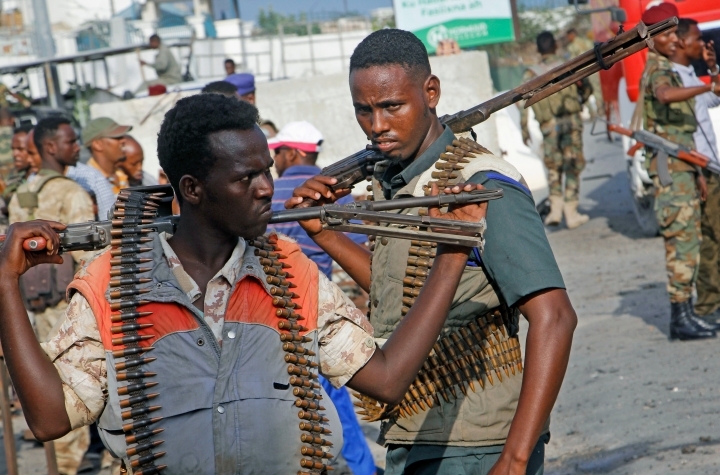 But tensions between the countries hit a high on April 8, when the UAE said Somali soldiers boarded an Emirati airplane at the Mogadishu airport, assaulted its soldiers at gunpoint and confiscated $9.6 million. A Somali Security Ministry statement at the time said the bags were full of undeclared U.S. dollars and an investigation was underway. Late Sunday night, the UAE's Foreign Ministry issued a statement saying it would end its training mission in Somalia, where it also built training centers and a hospital. The UAE has been working with an anti-piracy force in Puntland and paid the salaries of 2,407 Somali soldiers. "The UAE has expressed its denunciation of the seizure incident which flies in the face of diplomatic traditions and ties between world countries and contravenes the agreements signed by both countries," the ministry said in a statement. Somali officials did not immediately comment on the UAE's decision. However, Somali officials on Wednesday said that it would end UAE funding of its armed forces. Relations between Somalia and the UAE have been strained over the ongoing diplomatic crisis engulfing Qatar. Somalia's government has remained neutral in the conflict despite Saudi and Emirati pressure to denounce Doha. Dubai-owned DP World port operator also is operating a major port in Somalia's breakaway territory of Somaliland. The UAE also plans to open a military base there and has invited Somaliland officials to visit the Emirates. A United Nations Security Council report in November also alleged the UAE handed out cash to influence voters in Somalia's presidential election last year.